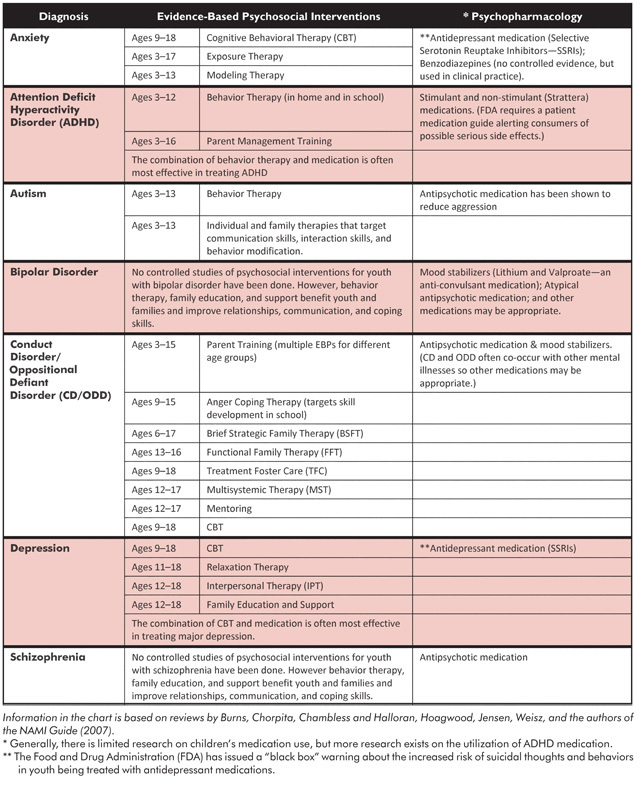 The chart below, reprinted from a guide from the National Alliance for Mental Illness (2007), provides a quick reference for evidence-based psychosocial interventions by diagnosis for children and adolescents. It also lists the medications commonly prescribed for children and adolescents with mental illness by diagnosis. Brief descriptions of some of the interventions referred to in the chart can be found on the following page.